In Spring 2018, Shanghai hosted the Shanghai Spring International Music Festival (SSIMF) supported by the Ministry of Culture of China and organized by the Shanghai Administration of Radio, Film and Television, Shanghai Association of Literature and Art, Shanghai Media & Entertainment Group, jointly with the European Foundation for Support of Culture. SSIMF has a long history and is a focal event on the music and dance map of China. The Festival doubles as a well-known international platform for interaction among young participants and for experience sharing. The Festival started as early as 1959. Since then, SSIMF is traditionally held every year from April 28 to May 18 in the most prestigious music halls and theatres of the city: Shanghai City Theater, STA Theater, Shanghai Art Theater, Shanghai Centre Theater, Shanghai Culture Square, Shanghai Concert Hall, Shanghai Oriental Art Centre, Shanghai Grand Theater, Daning Theater, He Luting Concert Hall. 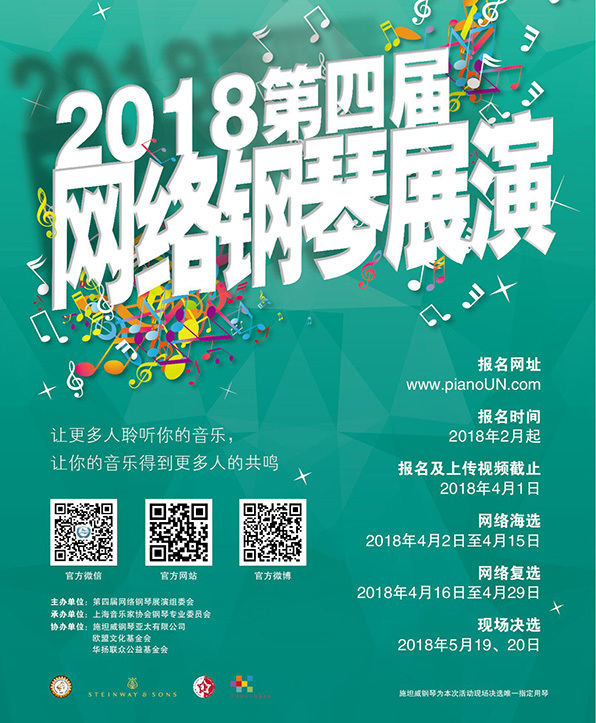 A number of young, talented and promising composers, performers and dancers have made their way to the frontline over the years of the Festival, and some of them have grown into international stars like Ming Huifen, Zhu Jian’er, Ling Jiming, Shi Zhongqing, Yu Lina, to name but a few. The programme of the Festival comprised opening and closing ceremonies, master classes led by renowned pedagogues, concerts performed by world level stars supported by famous orchestras, and concerts by “rising stars” and participants of competitions in various genres, thematic forums, and public art events. This year, the panel of judges of the piano competition was made up of known professors, among whom were Thomas J. Lumental, prize-winner of the Joanna Hodges International Piano Competition, Mao Weihui, professor at the University of Utah, Boaz Sharon, professor of piano at the Boston University, Zhou Ting, professor at the Shanghai Conservatoire, Angela Cholarian, professor of piano at China Music University. The program of the competition was also obliged to provide for performance of works written by Maltese composers.